The basic Woven Luggage Strap comes with an adjustable buckle, but you can add to the security by adding in a combination lock which ensures any luggage is secure and becomes harder to tamper with. People who regularly travel will see the benefit in a combination lock, which can make your branded lanyard the perfect promotional merchandise travel item. The Woven Luggage Strap has a great style and is suitable for all of your customer base. 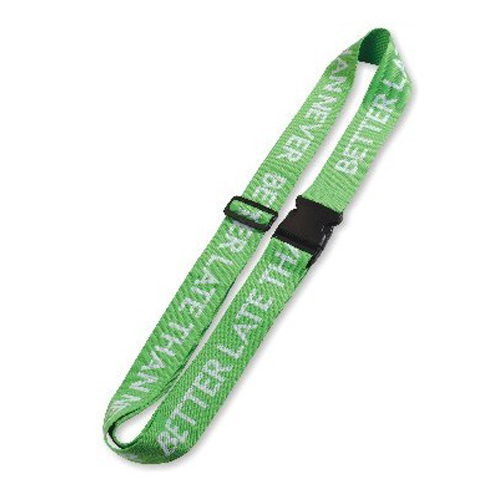 If you need a promotional travel product, a branded Woven Luggage Strap is a great choice.